"Stairs of the Turks", a chalky white cliff eroded conveniently into stairs, allowing for easy pillaging. 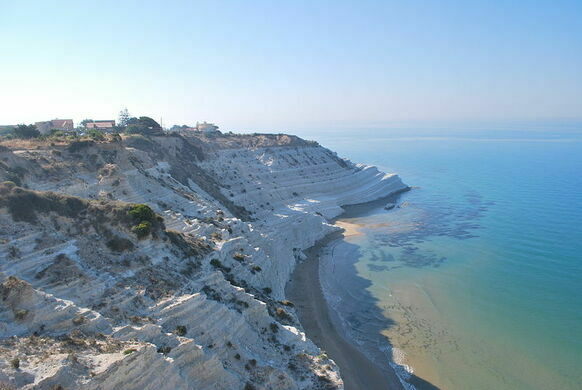 Scala dei Turchi is located on the coast of southern Sicily in Realmonte, Agrigento. The origin of the name comes from the many invasions of Turkish pirates and the “stairs” are formed by eroded Marl, clay and silt similar to calcite and limestone. 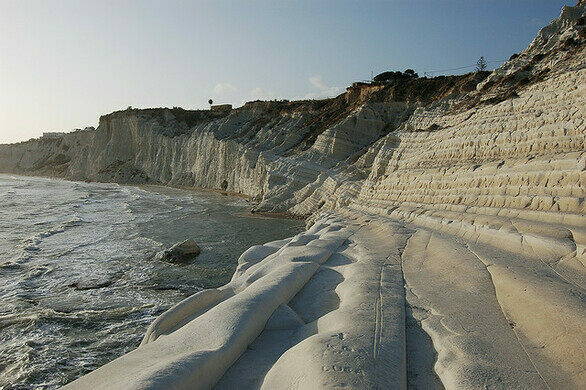 When visiting Scala dei Turchi, hike down one of a few steep sandy trails that lead to a beach full of locals and tourists covered in wet Marl, hoping to glow from the benefits it supposedly contains for the skin. 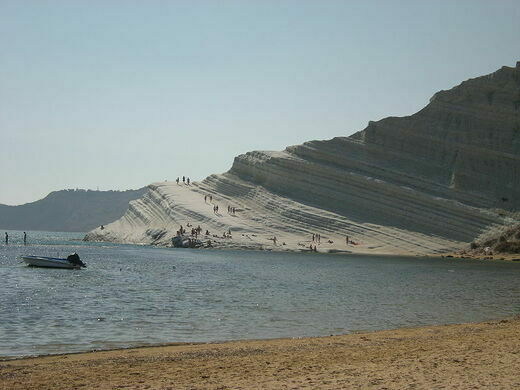 Beach-goers that are not taking part in the natural mud bath can be seen jumping off of the cliffs and rocks, and into the deep, buoyant water of the warm Mediterranean. Looking at one end, you will see the white steps, where Turkish and Barbary Coast pirates slipped in on several raids for plundering. Climb to the top for a beautiful sunset on the Mediterranean Sea. This constantly evolving art space saved an Italian town from its own crippling reputation. Gorgeous views of Italian mountains and valleys form the backdrop of this unique open-air theater. A madman's personal garden filled with 1,000 sculpted heads. This entire town moved to a safe location after it was devastated by an earthquake, but the remains of the original town are still around.